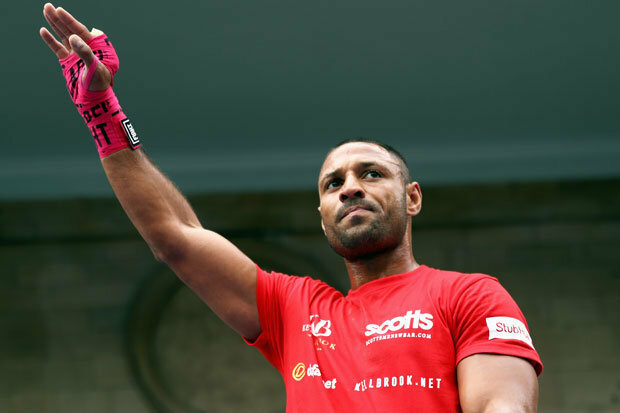 KELL BROOK is ready to become boxing royalty on Saturday night. The Sheffield star steps up from welterweight to face WBC, IBF and WBA middleweight champion Gennady Golovkin at the O2 in London. Brook, 30, believes he will become the pound-for-pound king of the sport if hedethrones the Kazakh.Golovkin – who has won 32 of his 35 fights by stoppage – is regarded as one of the best in boxing.Russian light-heavyweight Sergey Kovalev and American Andre Ward – who face each other in November – and Nicaraguan super-flyweight Roman Gonzalez challenge Golovkin for the accolade of pound-for-pound best. But Brook – who will pocket around £3m for the fight – is sure hewill be crowned the new No.1 in front of a sold-out O2.He said: “I will definitely be pound-for-pound the best.“I’m coming up two weight divisions and this fight is going to be unbelievable. This will put me right up there as No.1 pound-for-pound. Golovkin is the biggest foreign name to fight in the UK since Russian-born Australian Kostya Tszyu fought Ricky Hatton in Manchester back in 2005. He is the heavy favourite as one of the most feared fighters on the planet.And Brook’s promoter Eddie Hearn believes it will be the biggest upset by a British fighter ever – even surpassing Leamington’s Randy Turpin shocking Sugar Ray Robinson in 1951.Robinson, one of the greatest of all-time, lost a points decision against huge outsider Turpin at Earl’s Court. Brook also promised fans one of the greatest fights of all time at the weekend. He added: “Beating such a feared guy, that everyone is talking about as the best andmiddleweights are running away from, it puts me in space.“It puts me in a completely different level to every other fighter. Like Eddie says it is the biggest thing a British fighter has ever done at any time.“Golovkin keeps going on about a big drama fight and I think it will be the best fight you’ve ever seen. It will be unbelievable.